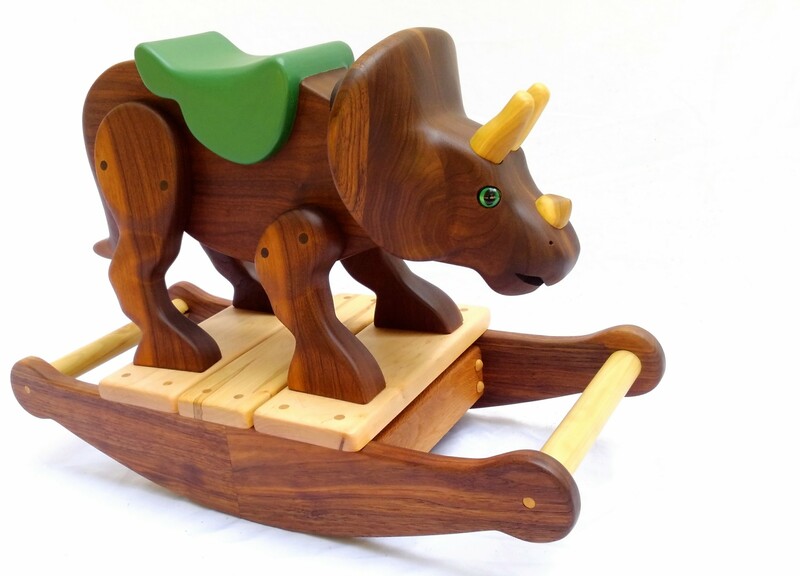 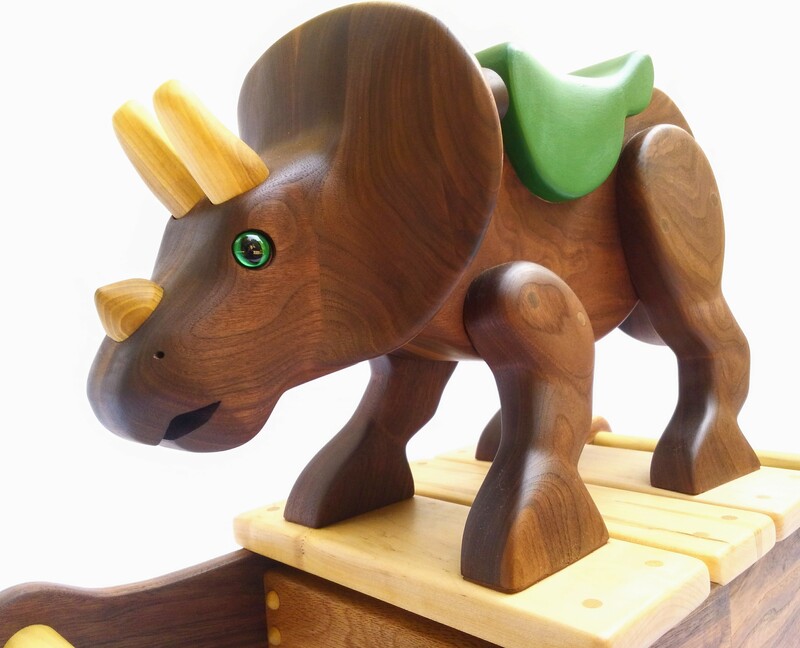 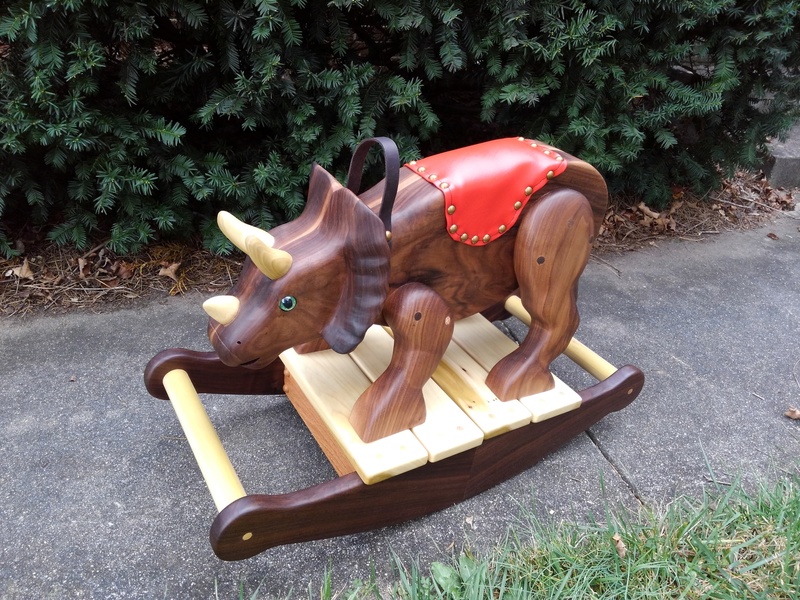 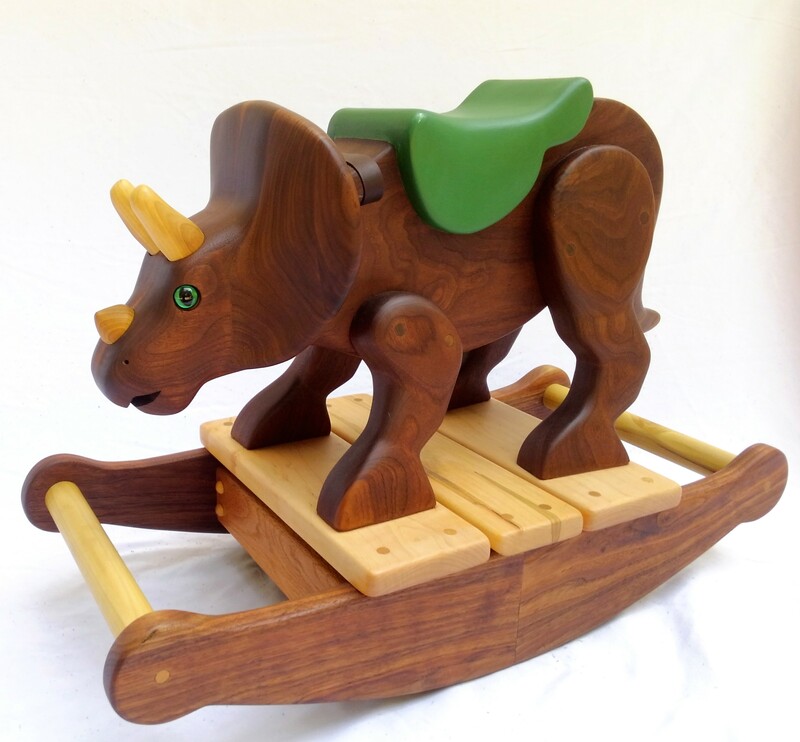 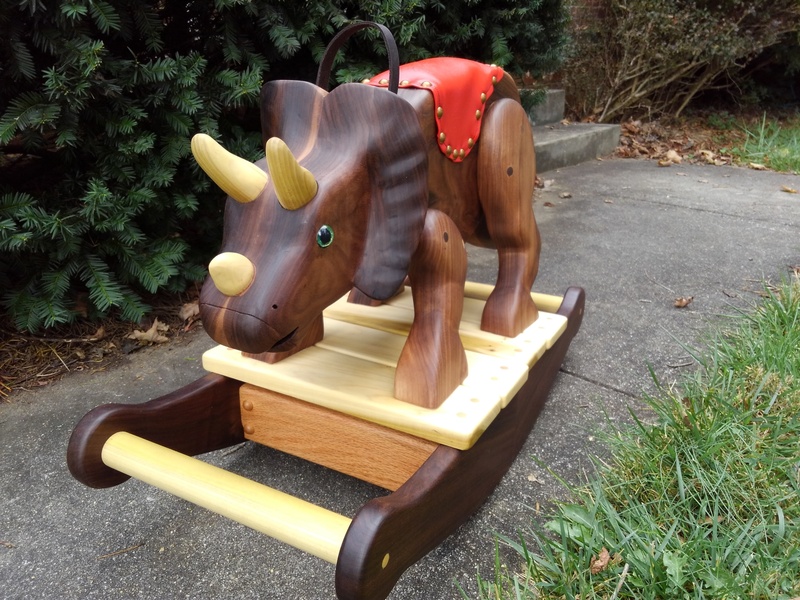 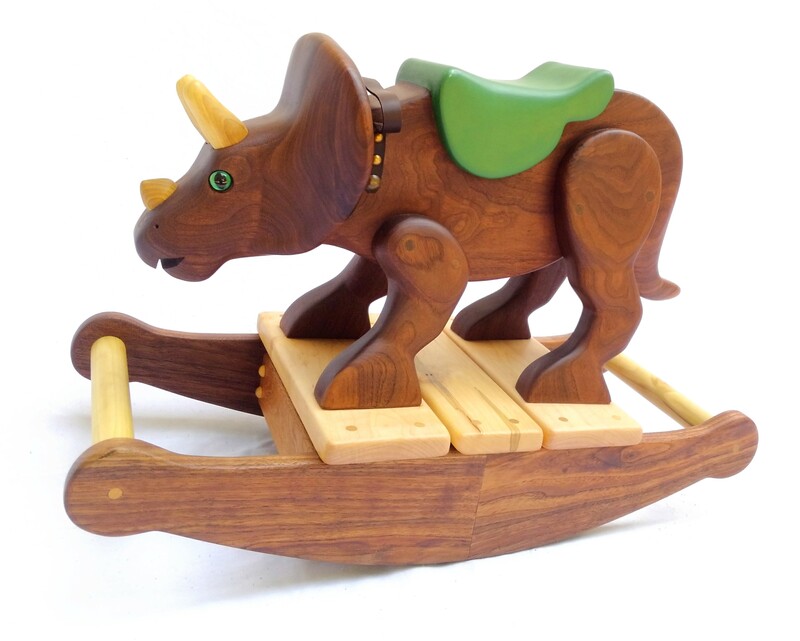 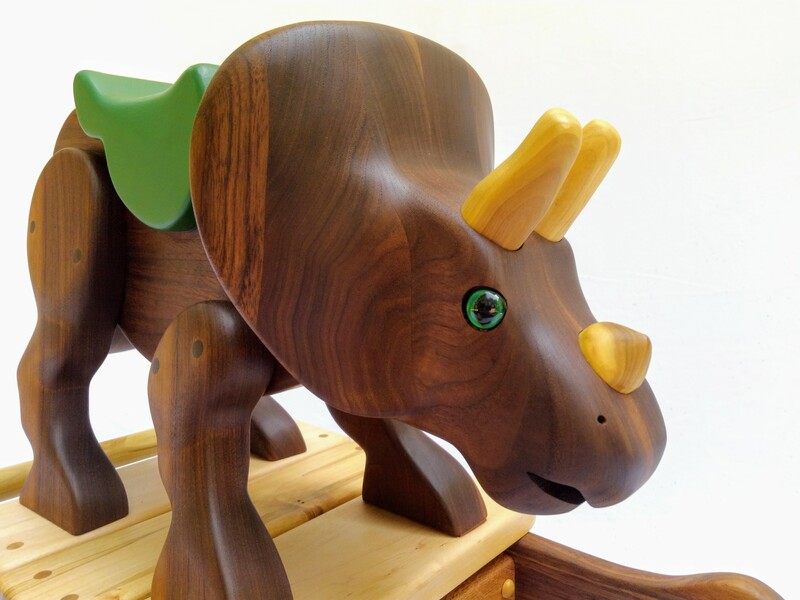 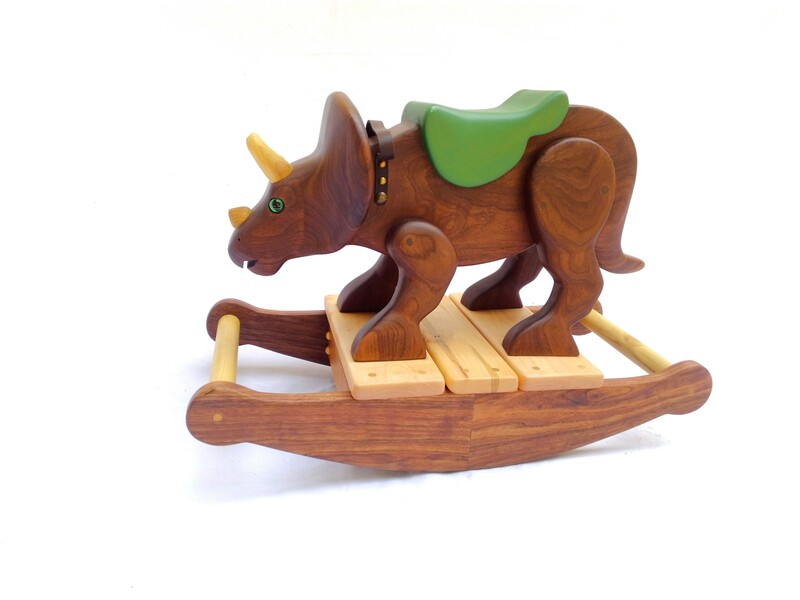 This adorable rocking dinosaur is hand carved from walnut wood, with maple or poplar and walnut rockers. 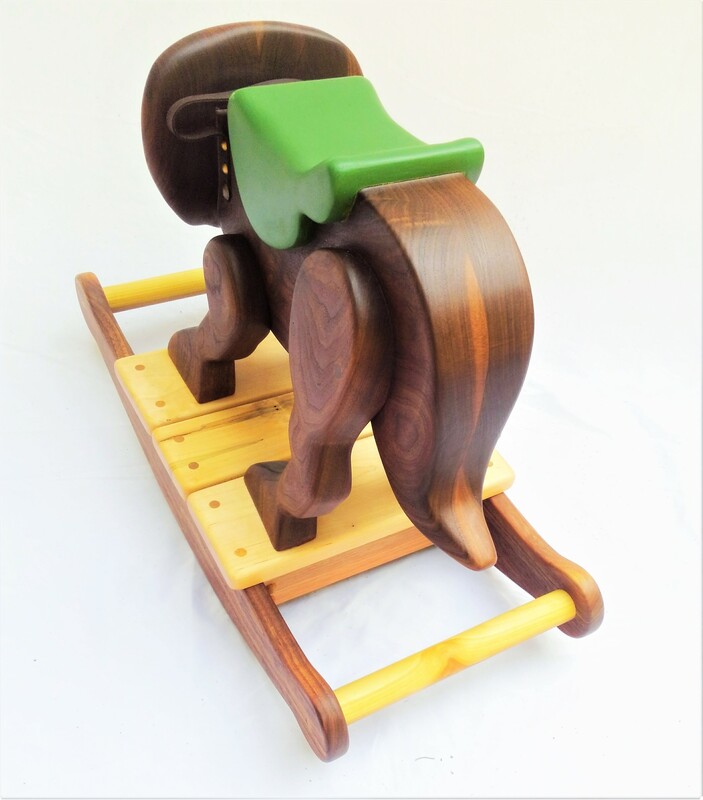 Green saddle is carved from wood, red saddle is padded vinyl. 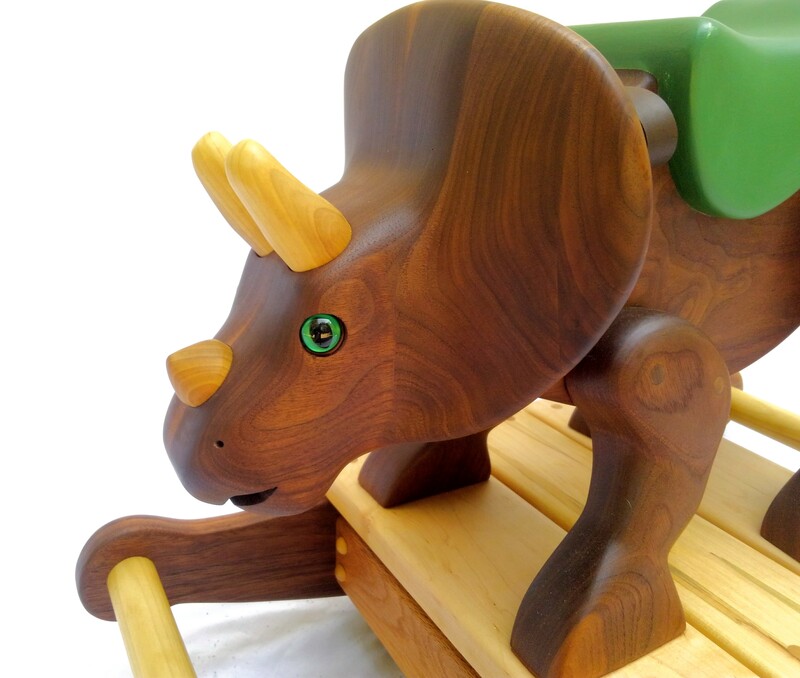 This original design is cute and compact, perfect for dino-loving toddlers age 1 and up. 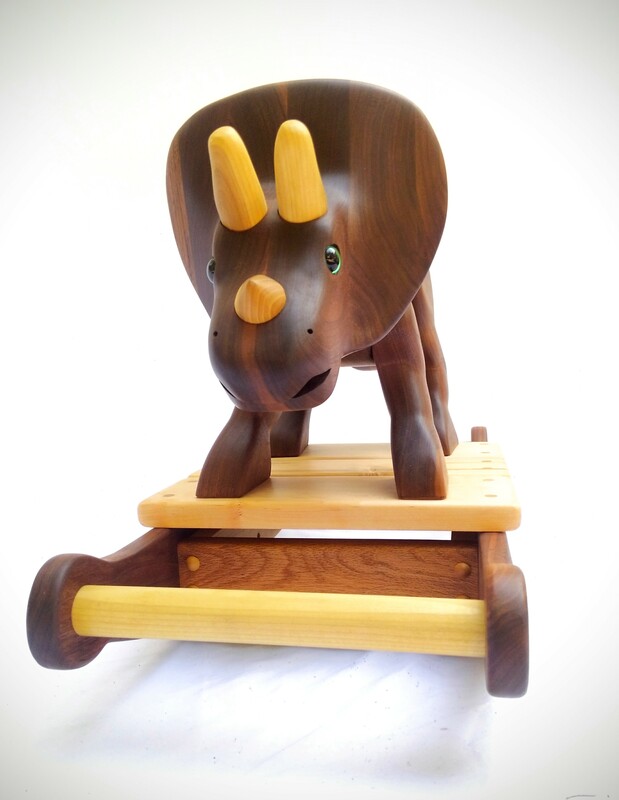 Dino with the red saddle is available at the Grovewood Gallery. 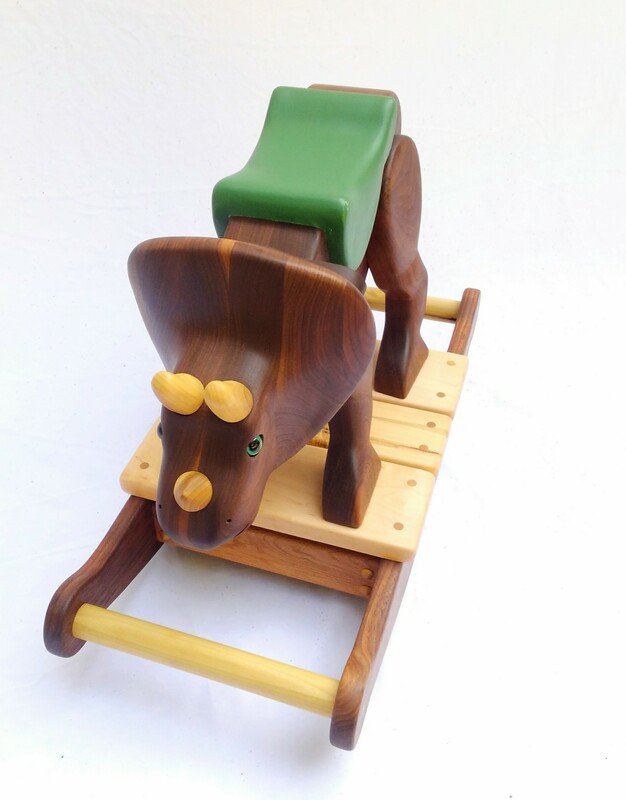 Dino with the green saddle available now, free shipping! 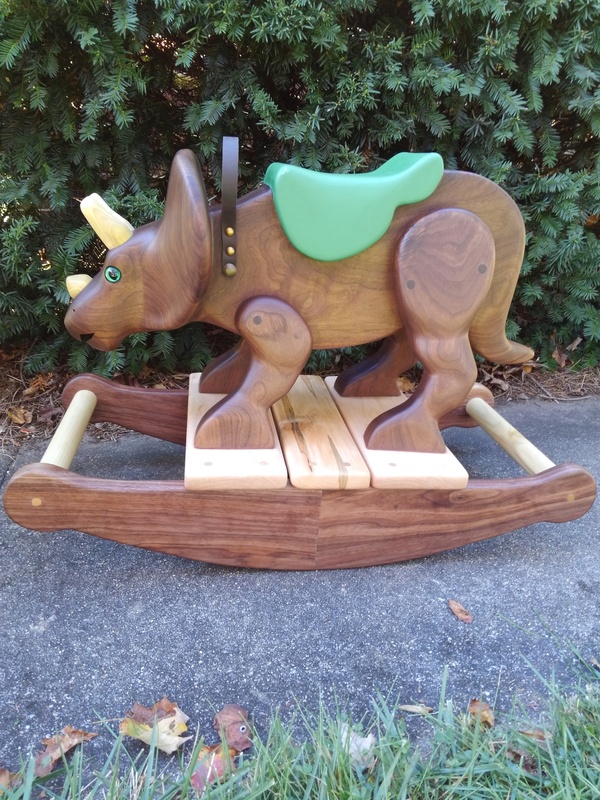 Size: About 18″ tall, 26″ long, 13″ wide.